From Brainseed Factory and Headup Games comes Typoman, a challenging puzzle-platformer built around the English alphabet. The title poses a unique challenge, but ultimately leaves the audience wanting more in variety. What some describe as “Limbo with words”, Typoman released exclusively for the Wii U back in November 2015. The initial launch version has been improved through a recent performance update, primarily enhancing player movement and physics. Typoman‘s story is left for the player to interpret, as most of the details are strewn between environmental and gameplay elements. The player is given the role of the “Hero”, tasked with exploring a landscape ravaged by war. Partnered with the enigmatic and supernatural “Muse”, the Hero must outwit several traps and conquer an ominous monstrosity to restore hope to the world. Most of Typoman‘s environments, characters, hazards and puzzles are constructed from letters within the English alphabet; the Hero is crafted from the letters H-E-R-O, while the Muse’s wings contain M-U-S-E; stronger enemies are constructed from such words as “Hate”, “Evil” and “Doom”. 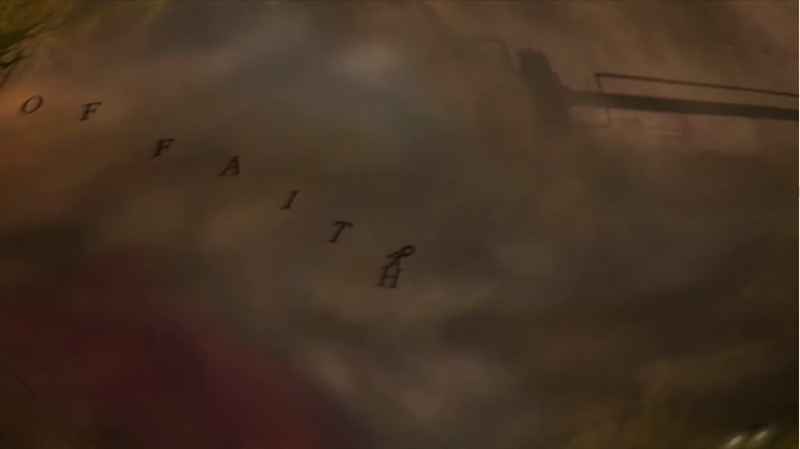 Some hints at the story and overall setting can be found within each environment; the tutorial segment holds the first and most obvious hint, with enormous letters W-A-R embedded in debris. It may not come as the next revolutionary title, but Typoman still delivers a fresh take on the Puzzle subgenre of platformers. As the title suggests, players guide the Hero through each level by solving a series of word and letter-based puzzles. Some of the easier solutions include combining the letters O-N to activate certain levers and switches, or C-L-O-S-E to traverse across open bridges. If the provided letters allow, simple verbs can be crafted in order to deactivate traps, move platforms, or seldom fire weapons. In the most dangerous of areas, the Hero can protect himself with an impervious barrier emitted from positive words “Hope”, “Life” and “Good”. Some of Typoman‘s more complex puzzles require the player to reverse the properties of some given words: A small creature can be summoned from the letters L-I-E, with the power to change some words to their opposites; if the “Lie” comes in contact with an E-V-I-L creature, the Lie will convert the enemy into the letters G-O-O-D for the player to use as a barrier. The environment itself can be manipulated by altering some pre-existing words: One of the earliest examples takes the form of a watery grave beneath a thundercloud marked “RAIN”; by adding a “D” to the cloud (i.e. “D-R-A-I-N”), the pit will dry up, allowing the Hero to pass through the area. A particularly challenging segment in the latter moments of the game reverses this puzzle, as players must douse flames before taking a pixel-perfect leap across a chasm. The initial November release of Typoman is a difficult beast to conquer, however the challenges aren’t stemmed from the gameplay, so much as mechanical and technical nuances. For being such a relatively small character against the vast levels, the Hero is surprisingly weighty, especially when jumping across large gaps. Many gaps and pitfalls require a last-minute “pixel perfect” jump from the absolute edge of one platform to another. Puzzle-platformers are no stranger to this, but Typoman also suffers from consistent video stuttering and frame-skipping. One sudden freeze can result in the Hero’s untimely death, be it an unexpected frame-skip while jumping across a pit of spikes, or an input-delay during one of the game’s many chase sequences. The moments between death and a second chance are interrupted by lengthy loading times, though nowhere near as long as the initial save-file load. 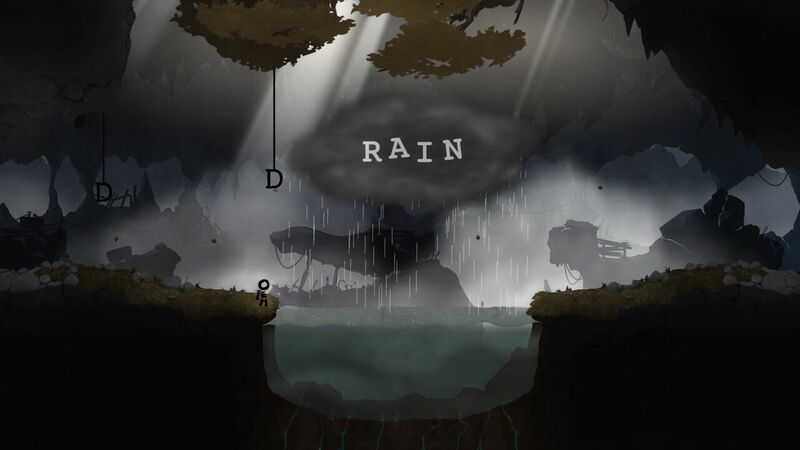 Typoman‘s bleak scenery holds many environmental riddles, however the weather and elemental puzzles are only seldom used, taking a back-seat to the standard word-scramble challenges. Many of the latter puzzles have cryptic solutions, some of which may force the player to use the Wii U Gamepad for a “Hint”; Hints will give the player an enigmatic message or poem as a clue, however this option should be used sparingly, as Hints also have a tendency to directly reveal the solution to a puzzle. Gameplay issues aside, Typoman is quite the visual spectacle. The larger enviromental elements of each level are formed from the usual earthy materials, though many key sections and accents are crafted from letters themselves. 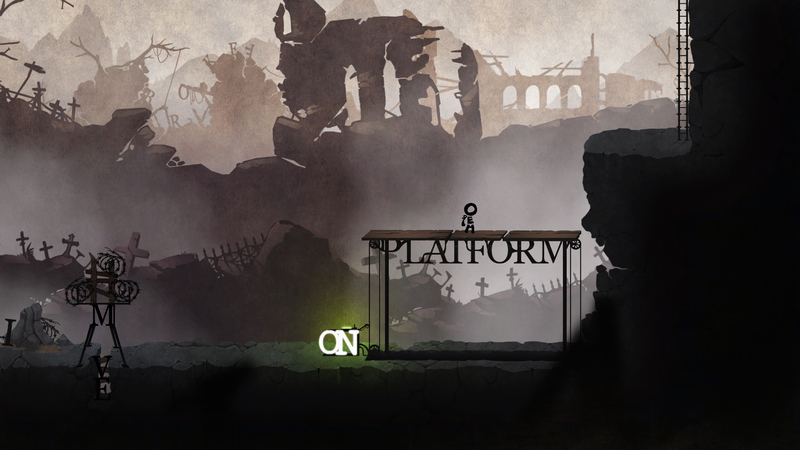 The hopelessness of Typoman‘s world is further cemented by the piles of broken letters and words in the backgrounds of some city and industrial levels; upon closer inspection, the player can occasionally find such words as “Trust”, “Hope” and “Unity” within the graveyard of scorched letters; “Trust” is also seen hanging from a noose in some levels. Apart from the previously stated example of W-A-R as a background element, many trees hold the letters T-R-E-E aloft in their branches. If pits aren’t home to the cliche black void, the bottom is a grave of A’s, all ready to skewer the Hero should he fall to his death. Letters are cleverly integrated into some platforms and structures, such as bridges from the letters S-O-L-I-D and ladders from stacked H’s; one of Typoman‘s definitive moments comes from leaping into certain oblivion, only to be saved by the letters “O-F-F-A-I-T-H” – a literal “leap of faith”. 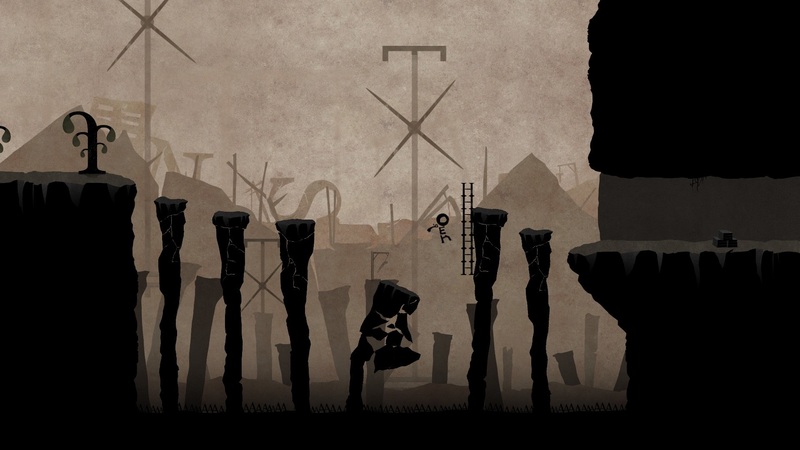 Typoman offers a unique spin on puzzle-platforming, with its usage of letters as stage accents and puzzle elements, but may ultimately fall flat with gamers, due to the lack of a concise plot and repetitive nature of puzzles in the latter half of the game.